Being a MOS Certified PowerPoint user proves to employers that you are ready to work in PowerPoint. According to Microsoft, individuals with a MOS certification can earn higher salaries than their non-certified peers. 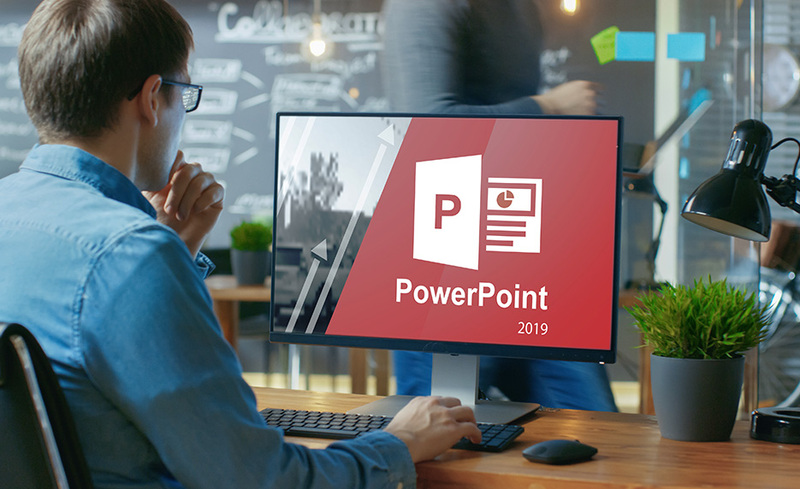 This course will teach you how to use Microsoft PowerPoint 2019 and prepare you for the Microsoft Office Specialist PowerPoint 2019 Certification exam. The 2019 version of this certification exam has not yet been released. You will learn to create and modify basic presentations using PowerPoint 2019. You will explore the PowerPoint environment, create a presentation, format text on slides to enhance clarity, and add graphical objects to a presentation and modify them. These skills are not only applicable to the Microsoft Office Specialist PowerPoint 2019 Certification exam but strengthen your professional portfolio and workplace productivity. Microsoft Office 2019 PowerPoint (not included in enrollment). If you use the version of PowerPoint that comes with Office 365, there may be some differences between your version of PowerPoint and what you see in the course. There are no prerequisites prior to taking this course. However, you should be comfortable using a personal computer and be familiar with operating Windows Office software. Tracy Berry has been a senior graphic designer/programmer, instructor, and consultant since 1993. She helps organizations optimize and streamline data solutions. She teaches both onsite and online courses and has her CTT (Certified Technical Trainer) certification. Tracy specializes in teaching graphics, desktop publishing, web design, reporting/productivity applications, Microsoft Office, as well as the creation of online courses with software from leading vendors. Yes, you will be prepared for the Microsoft Office Specialist PowerPoint 2019 Certification exam. Upon successfully passing the final exam, you will be awarded a certificate of completion.